The primary psychoactive in cannabis, tetrahydrocannabinol (THC), has a drowsy reputation. It’s well-known that cannabis products can make you sleepy. 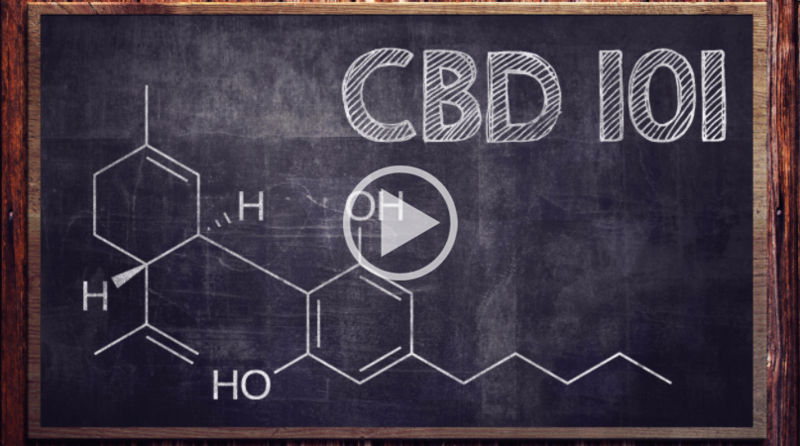 But, what about cannabidiol (CBD)? Could you be using CBD for sleep? Research says that the cannabinoid can be both energizing and sedative, depending on the dose. There is a lot to say about whether or not you should be using CBD for insomnia or avoiding it. Research on the subject is really only just beginning. However, some early evidence suggests that supplemental CBD can have a significant effect on the sleep-wake cycle. 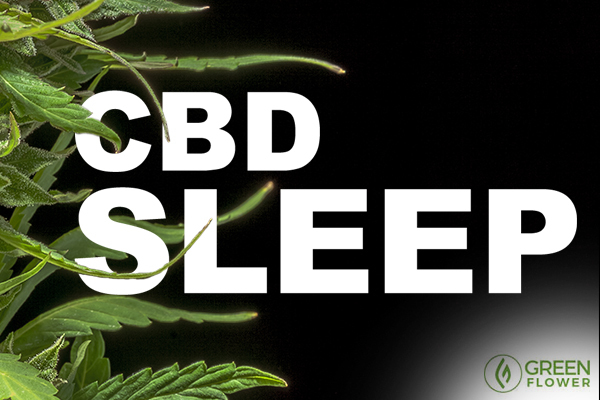 The right dose of CBD could help you sleep. If you’re hoping to catch up on some missed sleep, higher doses of CBD may be more useful. A 2013 study published in the Journal of Psychopharmacology tested the effects of varying doses of CBD and a placebo in rats. The cannabinoid was injected in doses of 2.5, 10, 40 milligrams per kilogram. Though, humans and rodents metabolize CBD much differently. Humans may not be affected in the same way by these dosages. Rodents treated with 10 or 40 milligrams had an increased sleep time. Those treated with 40 milligrams substantially increased the amount of time it took to get into rapid eye movement (REM) sleep. REM sleep is the dreaming period that occurs before waking. Researchers speculate that emotionally impactful memories are processed during this sleep phase. At the 10-milligram mark, however, rodents reduced the amount of time to REM. REM sleep is a lighter stage of sleep than non-REM sleep. Prior to REM sleep is a deep and restorative stage in the sleep cycle. Mice treated with 40 milligrams also saw an increase in this slow-wave, restorative sleep, but the results were not statistically significant. In this instance, the higher doses of CBD seem to be more sedative than the lower dose. The wrong dose of CBD could keep you up at night. Feeling sluggish? Low-dose CBD might help. Early rodent research published in 1977 found that a 20-milligram dose of CBD decreased the amount of time the animals spent in slow wave sleep (deep sleep), suggesting that CBD can be more energizing and can promote wakefulness. At the 40-milligram mark, however, the research again shows that CBD has the opposite effect. It increased the amount of time the animals spent in slow wave sleep. Wakefulness also decreased. A tolerance developed at the high-dose after 15 consecutive days of CBD injections. Additional research suggests that CBD might also curb the sedative effects of THC. A 2004 human study published the Journal of Clinical Psychopharmacology tested the effects of THC and CBD in 8 young adults. The study was double-blind and placebo-controlled. The participants were given either 15 milligrams of THC, 5 milligrams each of THC and CBD, and 15 milligrams of THC combined with CBD in an oral spray at bedtime. The study found that in the highest dose, the THC and CBD combination promoted wakefulness rather than sedation. In the lower combination dose, there was a decrease in Stage 3 sleep, which is the first phase of deep sleep. This loosely suggests that CBD may mitigate some of the sedative effects of THC and may promote alertness in humans at these doses. 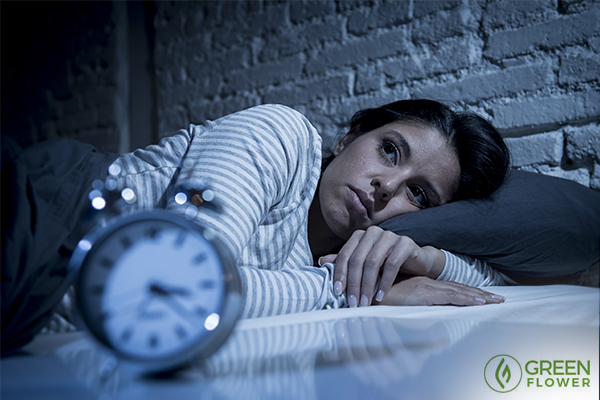 High-dose CBD may be helpful for insomniacs. A study published in the Journal of Clinical Pharmacology in 1981 found that a dose of 160 milligrams was more significantly more successful than placebo at helping participants get some sleep. 15 participants were included in the study. All of them received either 40, 60, and 160 milligrams of CBD. They also received a placebo and 5 milligrams of a sleeping pill, Nitrazepam over a five-week period. The 160-milligram dose strongly improved sleep and was associated with fewer sleep disruptions. However, at these doses, participants reported having fewer dreams after CBD treatment. Many of these studies examined CBD that had been isolated and directly injected into patients. However, a high-CBD cannabis strain may affect sleep differently than a CBD isolate. The cannabis plant itself can produce up to 545 different chemical constituents, though not all at the same time or in large quantities. Some of these chemicals are aroma molecules called terpenes, which give the cannabis plant its unique and delicious fragrance. Certain terpenes are known to have sedative and muscle relaxant properties. Two of these terpenes include myrcene (musk) and linalool (lavender). This may make some specific cannabis samples a little more calming or drowsy than others, including high-CBD strains. If the CBD strain also contains some THC, the presence of these terpenes may further enhance sleepiness. Why does CBD affect sleep? Cannabis is such a valuable therapeutic tool because of the way in which it affects the endocannabinoid system (ECS). The ECS is a large neurotransmitter network in humans and animals. This network is made up of endocannabinoid molecules, which can loosely be thought of as the animal versions of psychoactive THC and other cannabinoids. The ECS also contains cell receptors called cannabinoid receptors, as well as enzyme proteins that degrade endocannabinoid molecules. Together, these components help manage communications between the brain and the body. Cannabinoid receptors are present throughout the nervous system, organs, and immune system. They are particularly concentrated in the brain and spinal cord. Since the ECS is so widespread, it affects a wide variety of daily functions, including sleep, appetite, learning, memory, and much more. CBD and other cannabis compounds engage this system, which is why CBD can influence your sleeping patterns. Does CBD negatively affect your sleep?